Lifetime Lassen County resident Stanley Bill passed away July 5, 2018 surrounded by his family. He was 92 years old. He was born to Burtis and Odie Mae Bill on a ranch near Adin, California on Jan. 18, 1926. He was preceded in death by his parents; his sisters Miriam Boese and Edna Buffham; his brothers Charlie, Orrin, Eugene and Howard Bill; and his beloved wife of 64 years, Pearl Leuna Bill. Stanley is survived by his daughter; Patricia Plummer, of Westwood; and grand-daughters Jennifer Browne, of Reno, and Michelle Campbell, of Chester. He also leaves behind multiple nieces, nephews, cousins and friends. Stanley graduated from Lassen Union High School in 1944. He then enlisted in the Army and served during World War II in the Pacific. Upon his return to Lassen County, he and his brothers purchased property and established the Bill Brothers Ranch in Standish, California. He then met and married his wife Pearl Leuna in 1954. Stanley loved the life he built on the Bill Brothers Ranch in Standish. 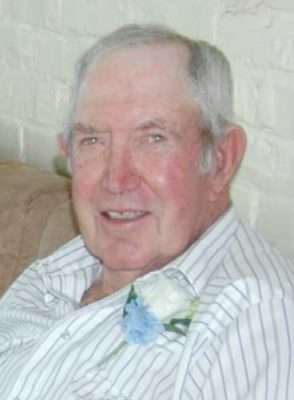 He will be remembered for his passion for working the land, raising cattle, working with horses and the joy he felt for life in the Honey Lake Valley. He was dedicated to his community and served on the board of directors for the Lassen Irrigation Company several times. He was also a member of the Lassen County Cattlemen’s Association. A graveside service celebrating the life of Stanley and Leuna Bill will be held at 10 a.m. Saturday, July 28, 2018, at the Lassen Cemetery in Susanville, California. In lieu of flowers, please make a donation in support of your chosen chapter of the Future Farmers of America. It is with great sadness that the family of Emma “Beth” Schafer announces her passing Wednesday, July 11, 2018 at the age of 67. Beth passed away peacefully in her sleep at her home in Chico, California. Beth was born to Goldie Peconom and Donald Dchafer on Aug. 16, 1950. She was a loving and strong individual that never let her disabilities stop her from living the best life possible. As a graduate of Lassen High School she went on to participate in the Special Olympics, where she competed in Track and Field winning many medals during her time. Beth touched the lives of everyone that she met and she will be greatly missed. She is preceded in death by her mother, Goldie Peconom; her sister, Sharon Schafer; and her brother, Herbert Frank Schafer. She is survived by her nephew, Leslie Gorbet, in California; her two great-nieces, Brandie Gorbet, in California; and Brittney Homewytewa, in Arizona; her great-nephew, Donald Gorbet, in California; two great-great nephews; and two great-great nieces; along with many other aunts, uncles and cousins. A memorial service will be scheduled at a later date. In lieu of flowers, the family is requesting that a donation in Beth’s memory be made to the Special Olympics. Vivian (Carol) Carlson-Pratt passed away peacefully July 6, 2018, at the age of 77. Carol was born on Nov. 25, 1940 in Bakersfield, California. She was raised in Delano, California by parents, Lloyd and Mable Terry. Carol married in 1961 to Douglas Carlson. They moved to Janesville, California in 1972, with their two daughters, Lorie and Penny, where they lived happily on 17 acres raising their girls and countless animals. Carol worked for Lassen Memorial Hospital for 19 years in the housekeeping department where she rose to department manager until her retirement in 1996. Carol was involved in many of her daughters’ activities, but the one that she enjoyed the most was being one of the original parent/coaches that helped develop the first girls’ softball league in Susanville, Bobby Sox. She was a very competitive coach, coaching her girls’ teams as well as all-star teams. Carol enjoyed going to church, singing, traveling, spending time with family and friends, animals, gardening, cooking, sewing and crocheting. Her love of animals kept her happy, and she had many over the years. Carol is preceded in death by her mother, Mable; father, Lloyd; and husband, Doug. 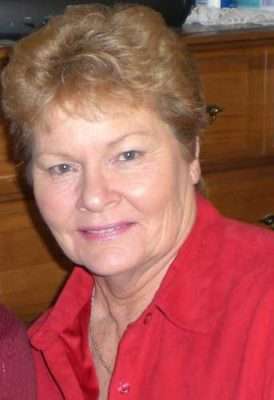 Carol is survived by her two daughters, Lorie Rieger (Steve), of Fernley, Nevada, and Penny Valentich (John), of Susanville, California. Also, survived by her five siblings, Virginia Cowart (Ron), of Terra Bella, California. Mary Caldwell (Chris), of Wasco, California. Sharon Pritchard (Bill), of Delano, California. Wayne Terry (Patty), of Greenley, Colorado. James Terry, of Shaffer, California. She loved her grandchildren very much and is survived by all five grandchildren; Ashley Rieger, of Carmichael, California; Cody Rieger, of Roseville, California; Bailey Valentich, of Sacramento, California; Sergio Valentich, of Reno, Nevada; Keegan Valentich, of Denver, Colorado; one great-granddaughter, Madison Rieger, of Roseville, California. Carol was a strong woman with a feisty personality. Her laughter and love will be greatly missed. Doris Naiomi Maffi died in Sacramento, July 20, 2018, due to complications of advanced age. Doris was born in Susanville, California on Feb. 3, 1933 and was a graduate of Lassen High School Class of 1951. After spending her early years in Susanville, she and her late husband Bruno relocated to Sacramento in 1961 when he accepted a teaching position at Grant High School. Doris was employed as a clerical worker for most of her life, including 15 years of service with the General Adjustment Bureau. She retired from the State of California in 1989 after 15 years of service there. Doris enjoyed her hobbies of knitting, ceramics and cross-stitch. She was also an avid reader. Besides her husband, she was preceded in death by her father, Albert Curnow; stepfather, Edgar l. “Babe” Rupert; mother, Bernadine “Billie” Rupert; sister Barbara Straka; and brother Paul Rupert. She is survived by her son, Joseph Maffi, of Susanville, California; and her brother, Peter, of Eagle Lake, California. At her request, no services will be held. Private interment Diamond Crest Cemetery, Johnstonville, California.